Watch the video below. How does it make you feel? What type of bullying is occurring? What emotions or characteristics are the people in the clip displaying? Do you have a message for any of the people in the video? Use the Padlet below to jot down your groups thoughts. 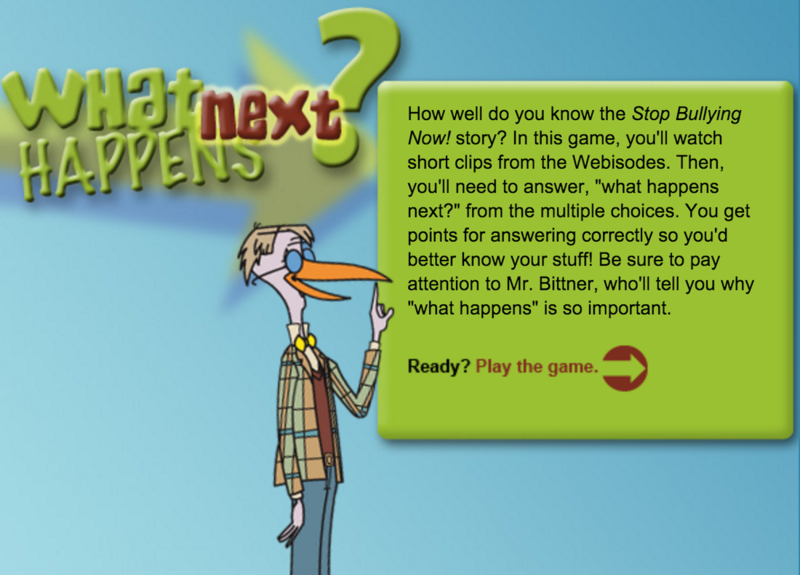 ​Class Discussion: What is a bystander? One way that people learn about places, people, or things that they do not know is by reading about them. But what if they don’t have time to read a whole book or they just want a quick overview of the subject? Businesses often use brochures to inform, educate, or persuade—quickly. They use a brochure to grab the readers attention and get them interested enough to want to know more. 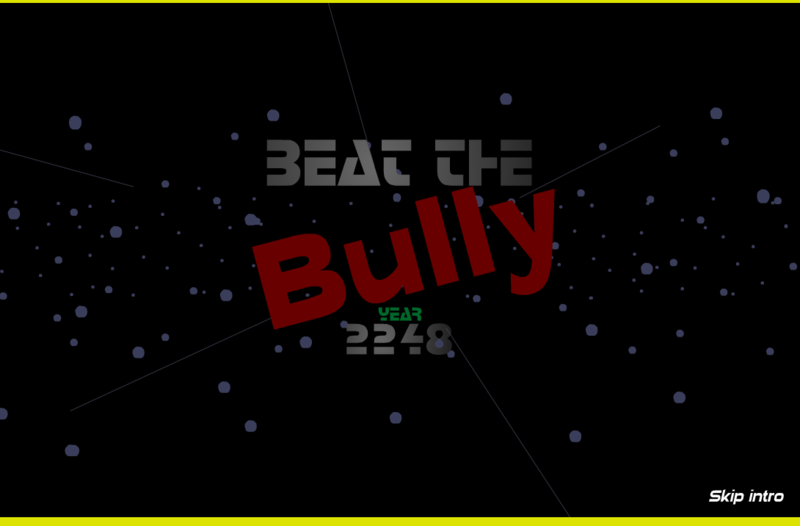 Your task is to use the websites below to gather information about bullying. 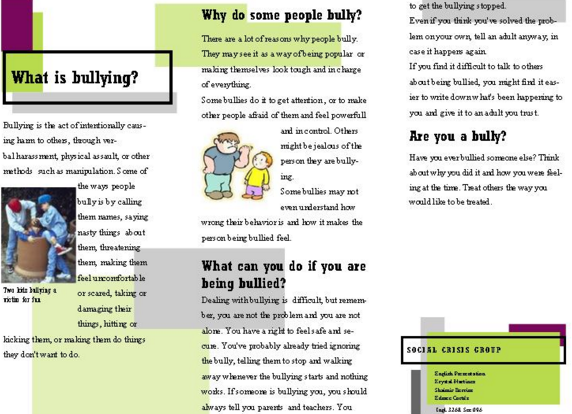 In pairs, create a brochure that Informs, Educates & Persuades people to take action against Bullying. *Read through your notes and decide which information is the most important and should go into your brochure. *Using Pages, create your brochure. The first page should be the cover with a title, picture, your name, and the date. The last page should be your credits page ( where did you get the information from). *Organise which notes should go where in your brochure and type up your information. Check the brochure for spelling errors and make sure it looks like something you would want others to read. Step 1: Do your research!!! Step 2: Take Notes in a Pages Doc. -Why do some students become bullies? -What are the signs that a student is being bullying? 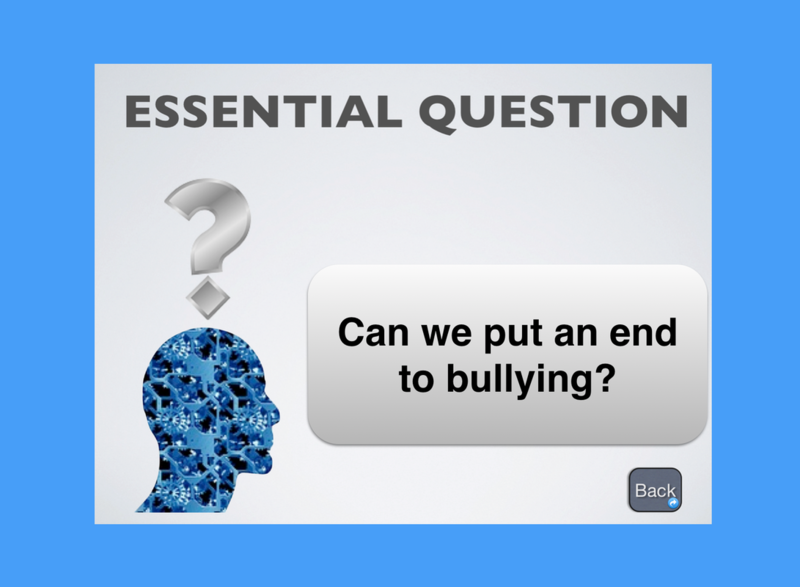 -What should be done if someone suspects bullying? 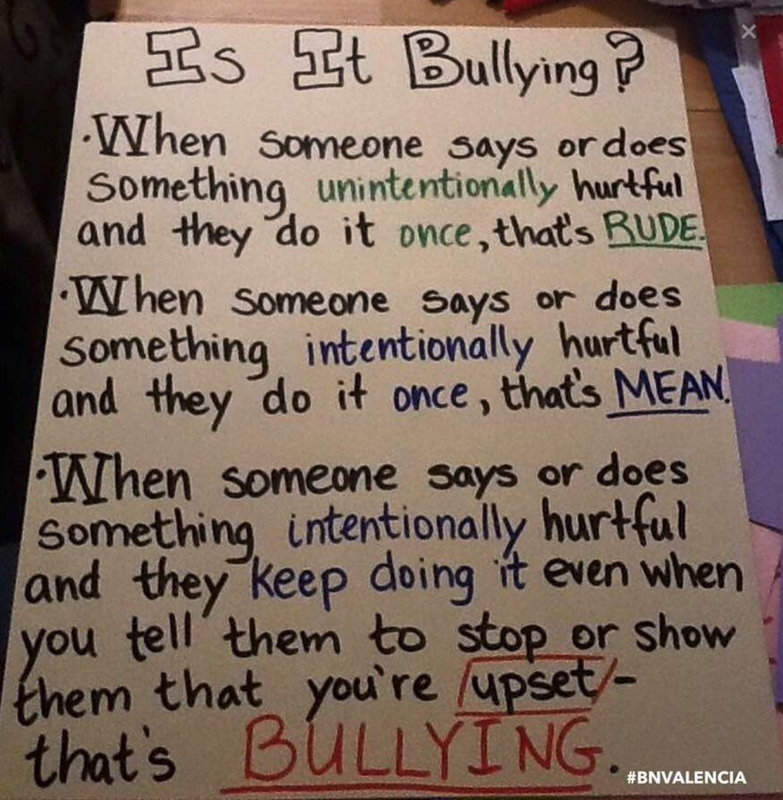 Remember, you are INFORMING people about Bullying, you are EDUCATING them on how to deal with Bullies and you are PERSUADING them to TAKE ACTION and SAY NO TO BULLYING!! Accurate Information presented in a way that is easy to read. Headline that creates interest and entices your audience to open your brochure and read it. 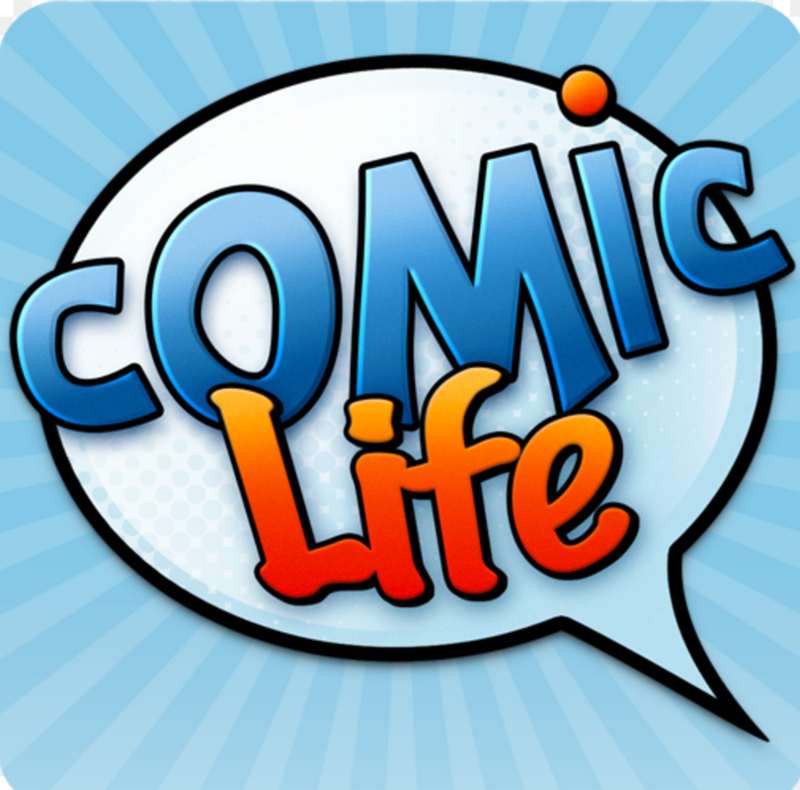 ​Use Comic Life to create a comic strip that demonstrates one type of bullying. 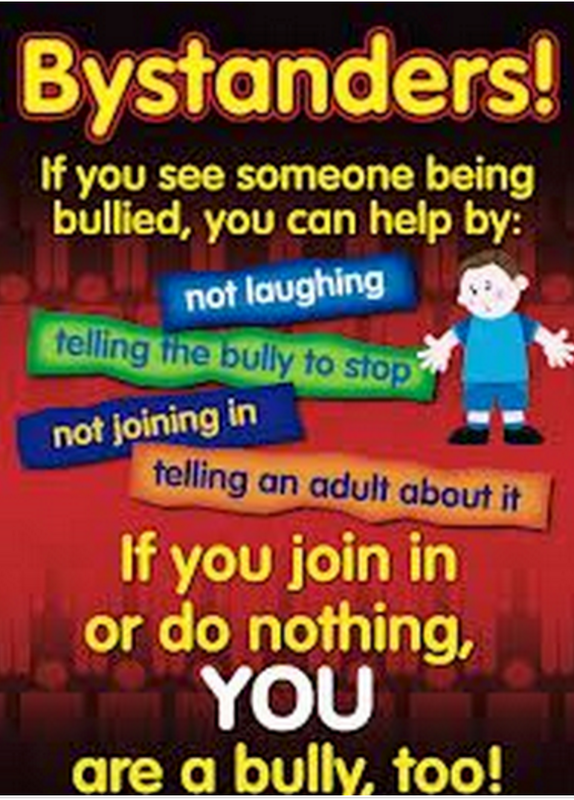 Show someone being a bystander and someone being helpful. Plan Big! In your groups, brainstorm ideas on how you could, Promote a friendly, supportive, and inclusive environment in your home, school or community. You need to come up with at least 3 ideas to pitch to the class.